Greetings! I've been blessed with the opportunity to guest blog on www.thekoalamom.com today. Check out Bonnie's page where she shares her thoughts on motherhood, marriage, and homeschooling. The salad dressing thumped into the correct slot in the fridge door. And then I stretched and rescued the mayonnaise from obscurity behind the Apple Cider Vinegar. Why are yesterday’s leftovers on the bottom shelf behind a bag of oranges? Is it really so difficult to put things back in the fridge where they belong? I didn’t think so. 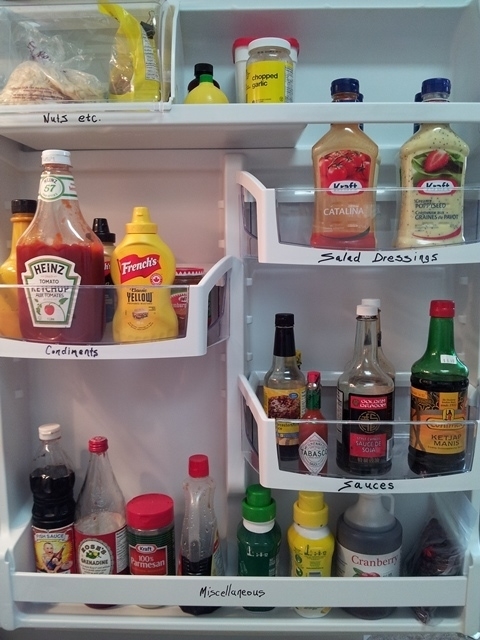 It was very reasonable to expect the ketchup to be in the same place every time I opened the fridge door. The issue needed to be addressed. He didn’t think it mattered? Our home may be his castle but it was my whole world - a mini corporation. It wouldn’t thrive on disorder. And, I had a million things to do every day; I couldn’t be playing hide and seek every time I needed something from the fridge. Never mind that he managed a gas plant facility and dealt with the headaches that went with it. How could he possibly think our fridge didn’t matter? 1) I could put everything away myself, all the time, and resent Matt for it. 2) I could let the issue go, waste time looking for fridge items, and resent Matt for it. 3) I could throw a fit, until he gave in, and he resents me for it. Option number three promised to save me the most time in the future. Married for twenty-nine years, Matt and I have gripped hands and weathered huge waves determined to swamp our relationship. We’ve poured prayers and God’s Word on hopeless situations and celebrated the Lord’s faithfulness. So why would such a simple thing like the arrangement of our fridge threaten the harmony of our home? Perhaps I’d already discovered the answer. Even the everyday situations in our marriage needed an application of prayer and the Word. So, I used option four. The one where my heart was telling me “A soft answer turns away wrath, but a harsh word stirs up anger.” (Proverbs 15:1 ESV) Lord, help me! Lord, thank you for your faithfulness in big and small situations and, Lord, thank you for Sharpies. Amen.